I love you! Yes, I love you already! In 2016 I learned so many lessons, I cried a lot and I tried new things. All I have left to give is positivity so I am glad that you are here and ready for me to pour all of my good seeds into you. I know you will be different because I am different. I know you will be amazing because my faith says so. I will try it all. I will say Yes! I will work hard. I will be confident. I will learn from all mistakes and take any failures as opportunities to grow. 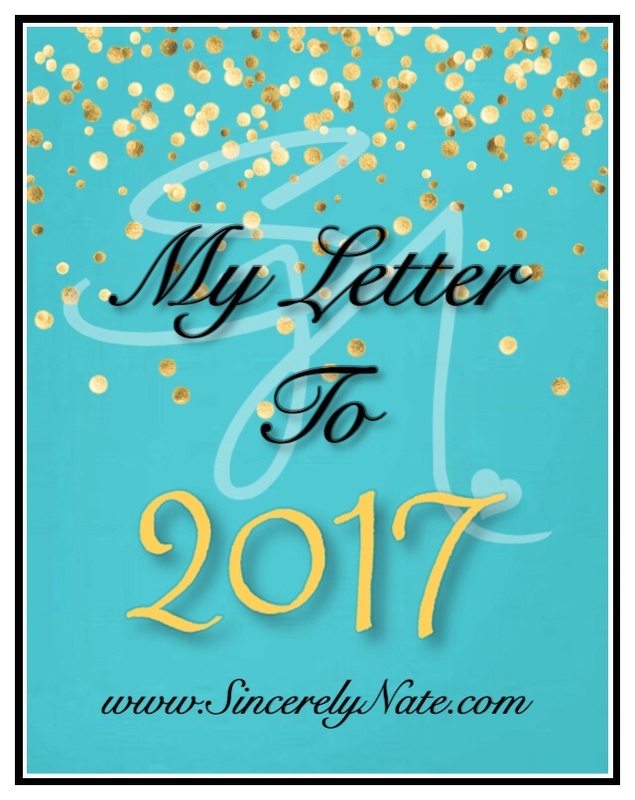 You 2017, are mine! Love, favor, kindness, opportunities, goals reached and my most cherished dreams coming true is all I see. And just in case you decide to throw me a curve ball it’s okay with me, I won’t complain. I know how to live. I know how to be successful. I know how to get back up from any setback. I know how important it is for me to love me and pour that love out into others. I know how to use my words to sow good seeds. I know who I am and whose I am. I know what great skills, talents and gifts my creator has placed inside of me. I will use them all. So my question to you 2017 is, are you ready for me? ‘Cause I’m coming. Cancel that. I am here.